This is Funny Riddle which will Trick your Brain. 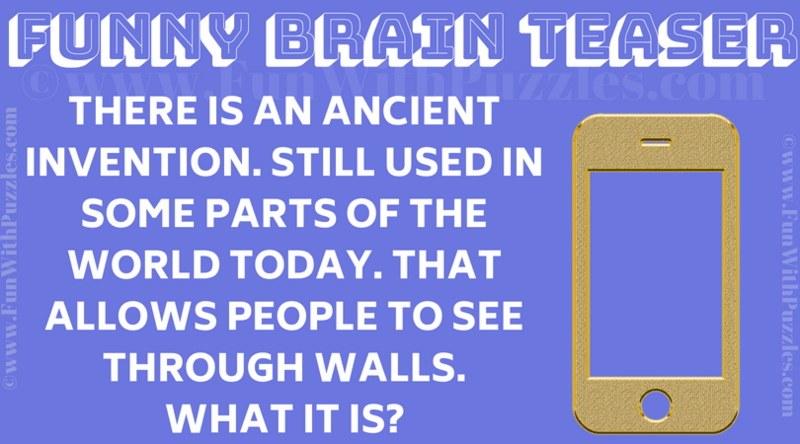 This funny riddle talks about one ancient invention which is still used in some parts of the world. I am sure that you must have seen this invention in your life. To solve this fun riddle, avoid thinking outside the box. Let us see if you can answer this funny riddle? Can you solve this Funny Riddle? Answer of this "Funny Riddle", can be viewed by clicking on the answer button.